Carefully hand made in Pine with several finishes this simple bow and arrow rack will turn your favorite competition or hunting bow and arrows into a center piece for any room. 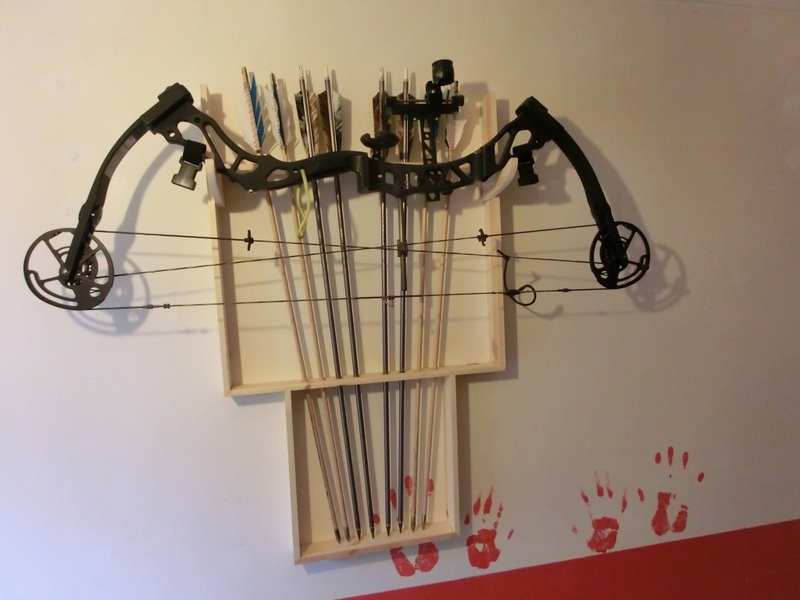 This is the base model of my bow rack range and as such is the cheapest available. It is discreet and light weight but strong enough to hold the weight of heavy framed compound bows. We all love our bows and to leave them locked away in the cupboard is sacrilege when we can turn them into a display piece. We display our trophies, why not display the tools you used top get that trophy. 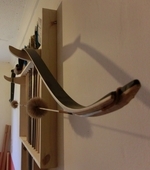 Like all of our products, our bow and arrow racks are hand manufactured from UK sourced and produced materials from sustainable sources if possible. All joints are dovetailed or mitred if not, they are glued and screwed to give the unit strength and longevity. 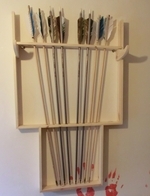 This rack has been designed by an archer for archers. Can be provided with mounting points for 1 or 2 bows..